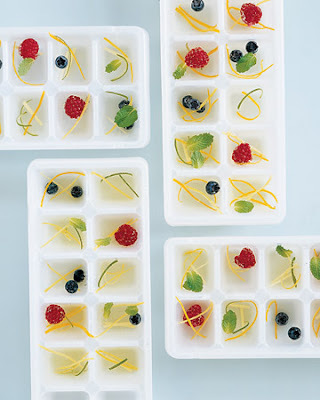 ... re-design the standard ice cube tray by adding those last bits of mint or berries to each cube. 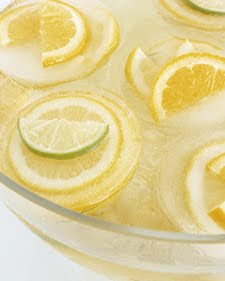 Also a great way to prolong the life of fresh fruits, and zest up some spring drinks like lemonade, pellegrino, or mamosa's! These are really cool! The next time I have a party, and it goesn't get shut down thirty-seven seconds into it, I will pop these in some mamosas for us.